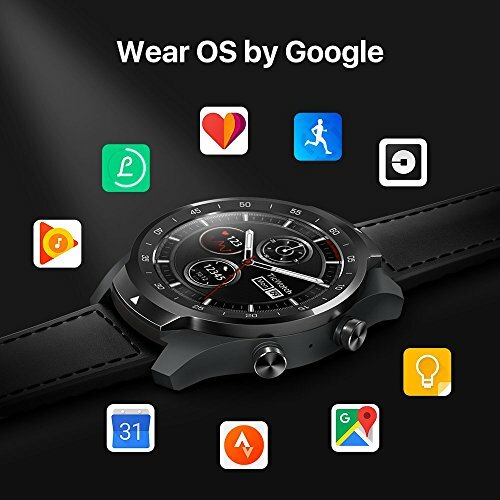 TicWatch Pro is the World’s First Dual-Layer Display with Smart Watch & features by Wear OS by Google . 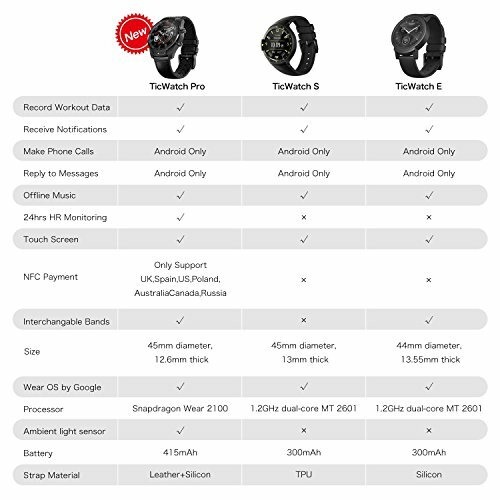 In its Wrist Band Mode, the monochrome FSTN display supports time-display, step-tracking and heart-rate-monitoring full sensors features with over 30 days . 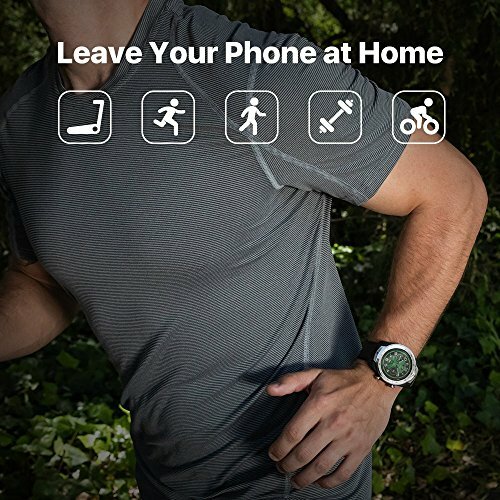 In OLED display mode, you can easily make calls, send texts, or navigate without a phone. Stay in touch while you workout. 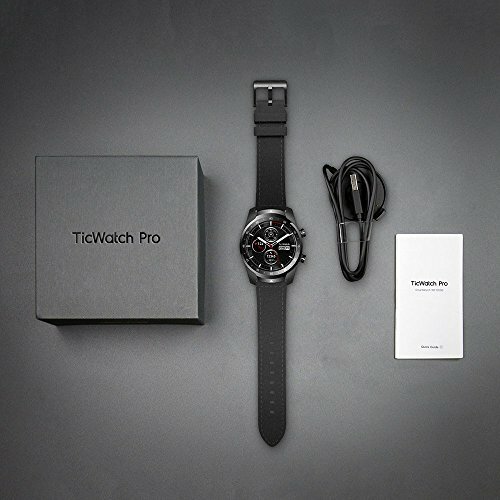 The high-performance TicWatch Pro combines classic elegant design with unobtrusive sporting aesthetics in a convincing way along with IPX68 waterproof rating, and can be worn permanently with constant access to its large range of functions. 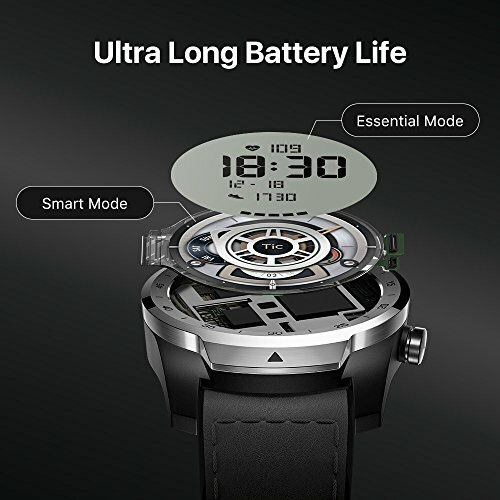 It also comes with a comfortable leather-rubber hybrid watch strap.Battery life lasts 5-30 days on a single charge due to layered display with two modes. No need to compromise performance for battery life.